April 26, 2019 - Voting rights advocates offered solutions for combating discriminatory election practices and increasing voting access in the state and around the country. Your source for news and trends about the changing South. 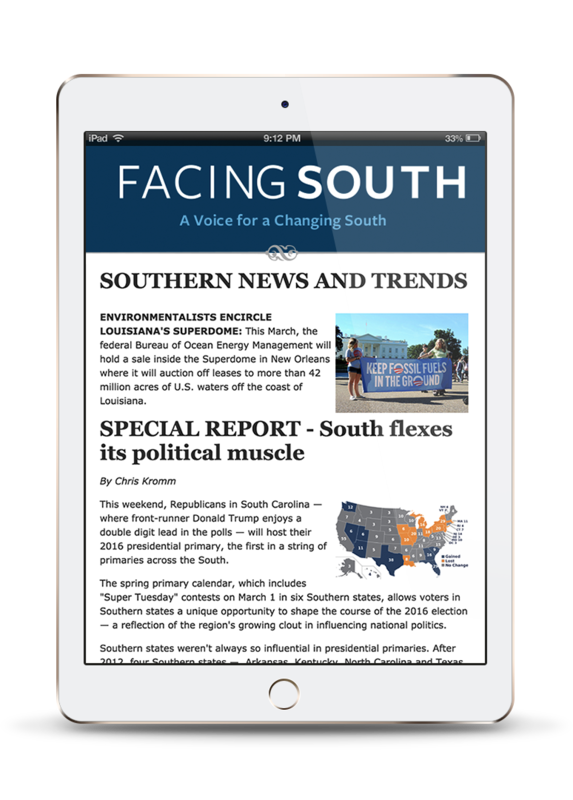 Sign up today for Facing South's email update featuring in-depth investigations, thoughtful analysis and voices for change across the South — delivered free to your inbox each week! April 25, 2019 - This Sexual Assault Awareness Month, #MeToo movement founder Tarana Burke launched a tour of historically black colleges to refocus the conversation around sexual assault to be more inclusive of Black women.